March | 2011 | Renowrites blog! I’ve been so caught up in menial, selfish things. Is my songwriting making sense? How can I make this song really soar? Then my mind switches gears to my novel and I nervously ponder whether readers will like a fictional story about a Filipino American family living in Alameda. Then the earthquake and tsunami in Japan happens and I realize that all of my concerns don’t even matter. Watching the coverage of an orderly Japanese society in turmoil is gutwrenching, a sober reminder of how lucky I am to have each day to ponder and live and exist. I wish I didn’t need tragic events to remind me how lucky I am. I tell myself everyday that I’m a lucky man for having a supportive wife and 3 amazing children, and even though I say it as I commute into work, I really don’t think I realize it like people who have experienced great loss. I wish I could do something besides donate money and watch the threat of a nuclear meltdown on television and online. I look up to the sky and I know God is watching us and I hope I won’t let him down any more. I usually just talk about my fiction writing, but whenever I need a break from wordsmithing, I’m behind the piano working on songs still in their infancy. I’ve been a professional songwriter for many years now. I’ve written over 100 songs, with 10 songs released on albums by various recording artists. 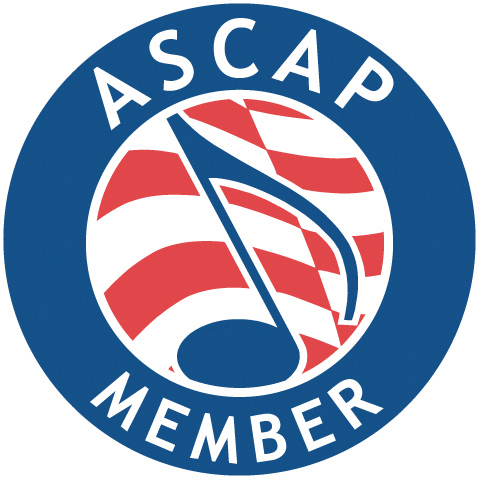 I’m a member of the The American Society of Composers, Authors and Publishers, better known as ASCAP, one of the three Publishing Rights Organizations (PROs) all songwriters should register with. Check out my ASCAP songs by clicking here! The first song I wrote ever released to the public was a song called Reminisce performed by Malyssa and it became a regional dance hit. It’s lifespan continued throughout the summer of 2002 and from there, I got a taste of what it was like to hear a song I wrote being played on the radio. You can listen to Reminisce by clicking here! After you take a listen, let me know what you think of it! A song I co-wrote called “Here With You” by Malyssa became a global dance hit because of its European sound throughout the year of 2003. Most recently, it was licensed out to the TV series “The Glades” (A&E Network), as well as various other indie movies previous to this placement. I usually don’t bring up my songwriting because I figure people will know about one of my songs if they heard it. And I’d much rather have the performer get all the accolades and I can focus on just writing. My friends say I should talk about my songwriting more, so hopefully this blog entry is the first step for me to be more open about not just my novels, but also about the songs I wrote that have hopefully made a difference in people’s lives. I’ve listed a few of my songs on this blog. Feel free to take a listen and let me know what you think! All of the songs have been released, and I hope to add more songs to this blog in the future — as long as I feel they are worthy of the public’s ears. One of my friends asked me if I was raving about Thia Megia only because she’s of Filipino ethnicity. What about the talent? A fair question that deserves a fair answer. I’m a Filipino American writer with a blog, so anything pertaining to Filipinos I tend to write about because it interests me. The storylines in my novels center around Filipino characters, but I strive to make my stories have universal themes that anyone can relate to— pregnancy, grief, death, love, happiness, with these themes affecting characters inspired by my Filipino life. At the same time, I’ve always been a mainstream kind of guy when it comes to music and movies. I’ve always believed that talent trumps ethnicity went it comes to the arts–I’m just more aware when it’s a Filipino blowing up the stage on American Idol. I used to work in the music industry with Classified Records, pushing a primarily Filipino American roster to mainstream radio and retailers. We reached nominal success, but the page has turned. It’s a new decade….with a new generation of kids who have the talent to compete with anyone. Thia Megia is just one example. Clint Gamboa is a male singer and American Idol 2010 Top 24 finalist who has impressed. I personally don’t think he has the talent level to make it any further, so we’ll see tonight. Outside of American Idol, a female singer named Maria Aragon from Winnipeg Canada is a huge YouTube sensation! She’s a 10 years old who brought Lady Gaga to tears! In today’s music industry, ethnicity is a secondary factor that influences music styles and affects fans looking for a connection to their culture. But true talent should always be the standard. So to set the record straight. I believe Thia is one of the most talented vocalists who happens to be Filipino and from Mountain House, the town I call home. And to those who accuse me of being subjective–well, I guess I am–check out the entertainment industry’s review of her performance last night. I’m not the only one who think she’s got the talent. Check out Hollywood Gossip and MTV News. If you do more google searches, you’ll see more. And was it crazy that Randy Jackson compared her to the great Michael Jackson? That came out of left field, and I’m not sure if he’s entirely accurate, but he was nonetheless impressed. The control of her voice and the pitch–it was probably one of the best Idol performances in a while. Will she make it to the next round tonight? I think so, but you just never know. Idol is so crazy sometimes. All of Mountain House will be on pins and needles tonight rooting her on! American Idol Season 10 – Go Thia! Filipino American Thia Megia is the real deal on American Idol Season 10. And she’s from Mountain House, the town I live in. And regardless of the fact she’s a local girl and Filipino, she has one of the best voices on the show! Personally, it’s great to see the musical talent from the Filipino community really making a global impact. Apl.de.Ap of the Black Eyed Peas, Charice, Sway Penala, and Thia Megia are just a few of the names of singers and musicians representing. I know there’s a bunch I’m missing! I’m really proud of our community evolving and being able to perform competitively in the arts. Filipinos used to be the folks who worked behind the scenes, but now this is changing (finally!). I remember when I worked in the music industry full-time, Filipinos would support each other simply based on the fact we were Filipino. I didn’t think that mentality helped cultivate the development of our community’s skills. We just gave each other props based on ethnicity, not necessarily talent or quality. And I was probably the biggest culprit of this. But today’s talent…I’m excited for the future!!!! And if a Filipina American becomes the American Idol, I will probably just cry.